This entry was posted in Being Butch, Coming Out, Gay & Lesbian, Gender, TV and tagged butch, coming out, gay, gender, lesbian, Lucy Lawless, queer, sexuality, television, transgender, TV, Wonder Woman, Xena, Xena: Warrior Princess. Bookmark the permalink. Yeah, all the way. Had a huge crush on her. I was Xena’s femme on every episode – but the writers’ didn’t seem to know this important fact. Funny that. That’s writers for you. The two of you must have had such grand adventures. Happy anniversary to you both. 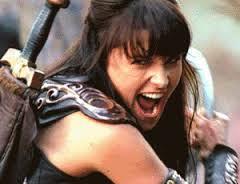 Whenever you write about Xena, I’m like Xena who? I was never a TV person, and am only starting to watch an occasional program now that everything except real time sports is available on my computer. 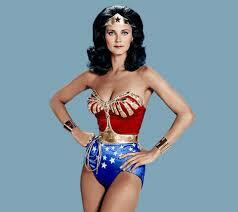 Like Rip Van Winkle, I’ve missed everything/anything Lesbian on TV since 1975. But she does look cute. If you’re interested, all the episodes stream on both Netflix and Hulu. I have Hulu for access to the Criterion Calatlog (foreign films), one day when Donna is out I will take a peek. Don’t want to get caught watching junk! Butch cannot live by foreign film alone. A little Xena never hurt anyone. Who knew there was a song. Thanks for spreading the Xena love. You as well. I found your blog with the xena tag! I’ve never seen an episode of Xena, either, but guess it’s better late than never. It’s never too late for Xena … Especially now that you can stream the entire series on Netflix and Hulu. Give it a few episodes and remember that it’s supposed to be campy entertainment. I will. My partner has even agreed to give ol’ Xena a shot. 20 years is a long time in the world of TV, though. I’ll let you know what we think. I had a complicated relationship with Xena growing up. My body size (at nearly 6ft)and build resembles hers but as a fairly feminine woman I had been teased for being too big or too muscular/strong to be attractive. I didn’t get why the world could fawn over her and also tell me to be smaller and more delicate. It took me years to embrace the term Amazon as a positive. Now I really like the character and seeing her makes me smile, finally. All part of your journey. Glad to hear you have learned to embrace those qualities that make you unique. The whole Amazon thing is fascinating. I have a labrys tattoo on the inside of my right arm. First tattoo I got. Totally Gina Gershon in Bound. And very Amazonian. Nice! I have enjoyed looking into Amazon lore. I think it helped a lot. That and a few well timed comments from unlikely places/people made me smile and just roll with it. Ok. I’m an Amazon. At least I’ll have a quality Halloween party concept from now on.